M.O.E. Plumbing has been proudly serving South Florida for 30+ years. We have been successfully providing quality service by trained plumbers. M.O.E. 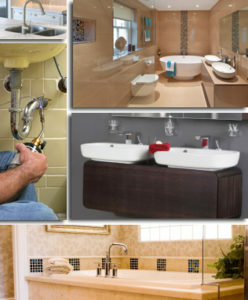 Plumbing provides Residential Services and specializes in the installation of Water Heaters and Drain Cleaning. Service areas include: Fort Lauderdale, Pompano Beach, Hollywood FL, Wilton Manners, Oakland Park, Margate, Coconut Creek, Davie, Plantation, Deerfield Beach, Lighthouse Point and East of Broward County. Here at M.O.E. Plumbing we believe if you do the job right the first time at an affordable price you refer us to your friends and family. So give us a call. You won’t be disappointed. Many times we can fix your problem on the first visit. Licensed, bonded and insured, we stand by our estimates and guarantee our repair work. Contact us today for fast, efficient results. Your 100% satisfaction is our goal! Employment opportunities – Always looking for qualified technicians.